In addition to our extensive line of pneumatic telescoping vertical masts, Fireco US also offers a range of Roof Masts. Best for use when space is limited inside a vehicle body, our Roof Masts are easily mounted to the roof of a vehicle. Constructed of high quality aluminum alloy tubes which are anodized and corrosion-proof, our roof masts can easily be tilted 90 degrees manually or electronically with pneumatic extension by hand pump, compressor or other air sources. Manual roof masts are our lightest and most economic series, designed to handle modest lighting units and other small equipment. Manual roof masts are ideal when space is limited. Most units come equipped with an internal spiral cable. Manual Roof Mast diameters range from 2.5in to 3in and are available in one to three sections. 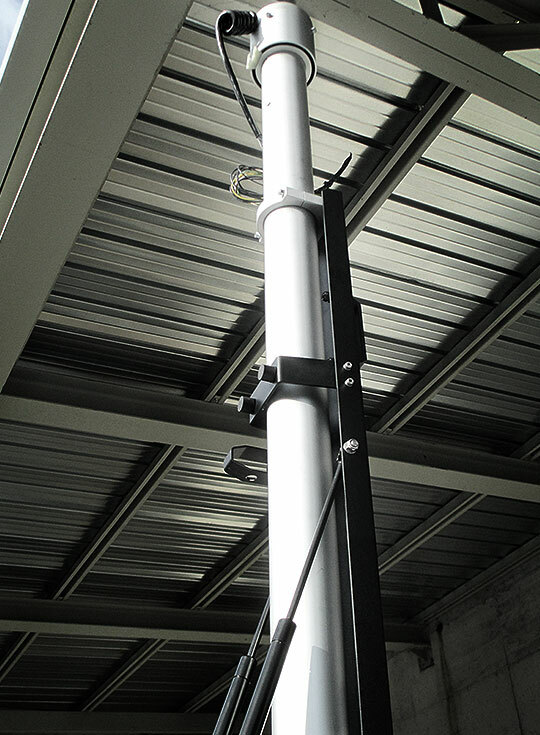 Electropneumatic roof masts are more substantial then the manual versions, designed to handle larger pay loads. Available in two series: Roof Base Pro and Roof Plus Pro. Both series come equipped with a tilt & turn lighting unit, micro switch, a multifunctional remote for all mast functions, and an electric board. Suitable for smaller lamp units, such as halogen or led, the Roof Base Pro is also equipped with a built-in compressor. An optional wireless remote or SMART remote can additionally be supplied. The Roof Base Pro is available in one to three sections. Designed to handle heavier top loads than its counterpart, the Roof Plus Pro is suitable for the most common halogen or led lamp units. An optional built is compressor can additionally be supplied. The Roof Base Pro is available in one to four sections. Fireco U.S. is the exclusive distributor of Fireco products in the United States and Canada. Located in Fresno, California, we are committed to providing our customers with high quality cost effective telescoping masts and lighting solutions. Fireco has been in business since 1975 and has successfully established themselves as the Global Leader in the design and manufacture of telescoping masts. 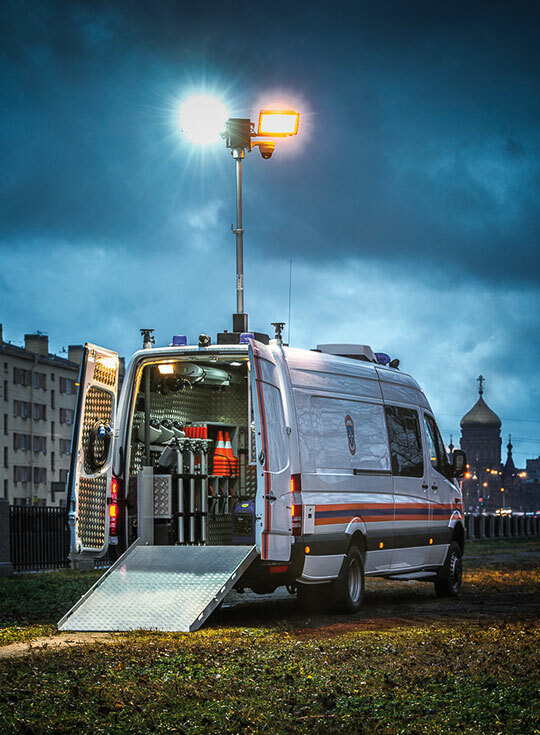 Fireco leads the industry in design and innovation, producing mast and lighting solutions for the fire services, emergency response, security, telecommunications, defense, research, surveillance and broadcast sectors. 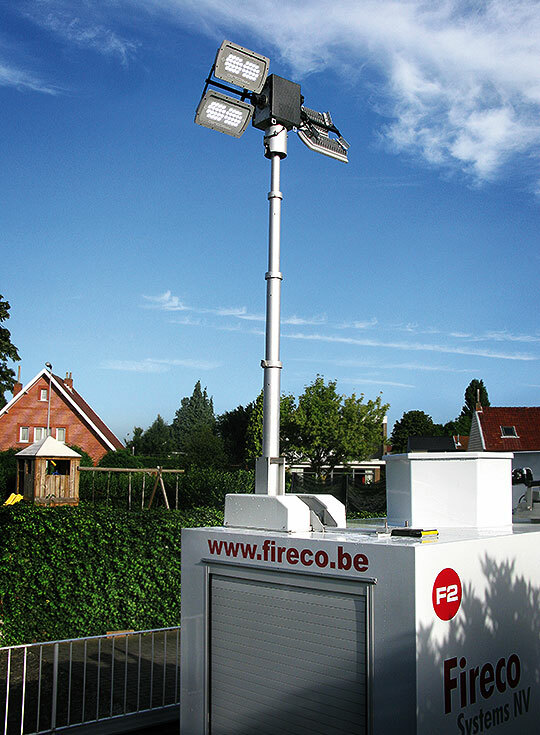 With standard and custom options, Fireco has a mast and light solution to meet your needs. Copyright © 2019 Fireco US. All rights reserved. Web Design by Digital Attic.